We think. We organize. We collaborate. We assign. We schedule. We plan. We plan at home; we plan at work. 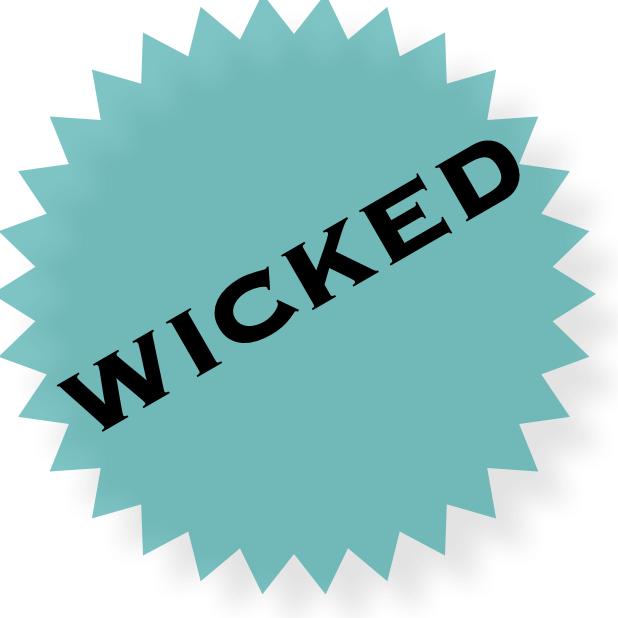 Wicked Plan® is where your ideas and deadlines and schedules come together, all in one wickedly collaborative place. But that plan can begin with a collaborative group brainstorm using Wicked Brainstorm™, or perhaps with collaborative group activities first created in Wicked Buckets™. And you can definitely encourage your team, friends, and family with custom stickers you make with Wicked Custom Stickers™. And because we also play, our latest wicked app is Wicked Dog™, where you can have fun playing games with your dog … or a dogmoji that looks like your very own family dog. The stickers you create with Wicked Dog Stickers & Wicked Custom Stickers are shared automatically with Wicked Brainstorm and Wicked Buckets. And the ideas you create in Wicked Brainstorm and Wicked Buckets are shared to Wicked Plan. The Wicked apps will help you generate ideas, set tasks and deadlines, and collaborate and communicate with other people – your friends, family, and co-workers. What’s more fun than playing with your dog? Wicked Dog™, our latest wicked app, lets you play with your dogs even when they’re sleeping. And you and your dog can play with friends and their dogs, too. You can also share your dog’s deep thoughts and words of wisdom in text messages and on social media. That’s right, it’s your dog, down to its nose and spots. Wicked Dog lets you create dogmoji of your very own family dog(s), with a ton of ways to set its size, shape, color, fur, banding, spots, and more. And then we use “anatomical intelligence” to animate your dog so that it comes to life to play games. You can even challenge friends to agility-course races between their dogs and yours. Wicked Dog includes the dog design capabilities, the animations, a kennel for keeping your dogs, a bunch of games, and a Messages app with billions of unique stickers and a game you can play with friends. Wicked Custom Stickers lets you create your own stickers with your own words and selfies, and decorate and animate them to create the exact message that showcases what you really think and feel. How many stickers? Dozens? No. Hundreds? Not even close. Try BILLIONS. For any text you type, for any selfie you take, pick shapes, animations, logos, badges, and special effects in more than 4 billion combinations. Make your own stickers to match your own mood. Wicked Brainstorm lets you brainstorm with the people you message. If you try that now, your ideas are mixed in with every other text message. With Wicked Brainstorm, your group’s ideas are gathered together, yet still kept within Messages. 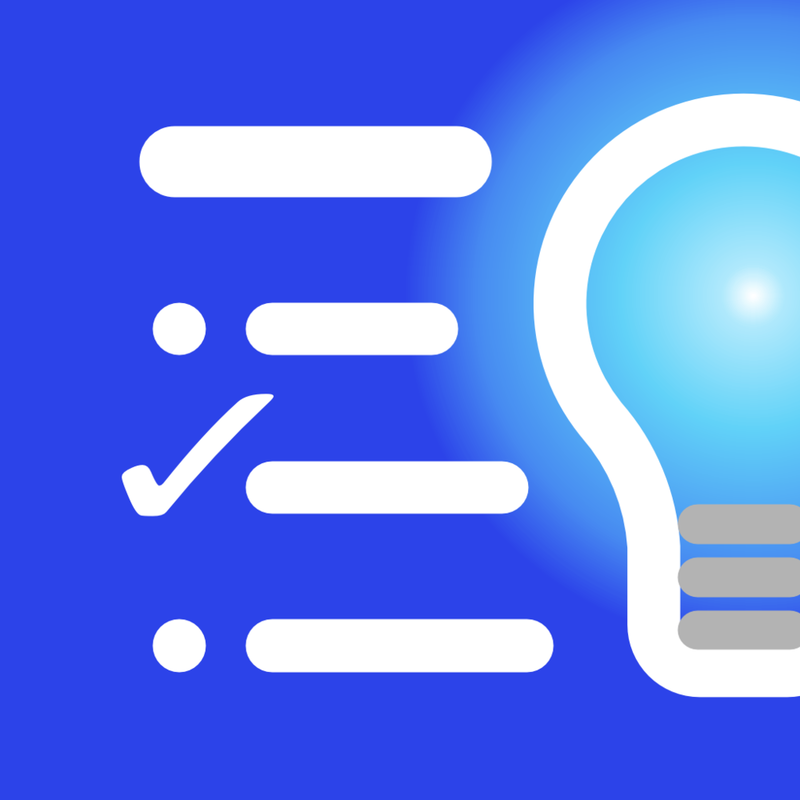 When done, you can turn the brainstormed list into a checklist and even vote as a group on the best ideas! Now you can brainstorm anything while texting. Spouses can brainstorm ideas for family trips and activities. Friends can brainstorm dinner or weekend plans. Work teams can brainstorm new product ideas, feature lists, marketing programs. Wicked Brainstorm is as wicked as your imagination, and it all happens within Messages. Brainstorm with friends...while texting! It's collaboration for everyone in iOS. If you're planning a project at work such as a product roll out, or collaborating on a SWOT analysis, for example, Wicked Buckets lets the whole team work on the project at once, with live updates and notifications. A spreadsheet isn't a plan. A Word doc isn't a plan. A group chat isn't a plan. For all that we plan – business plan, social media plan, construction plan, wedding plan, marketing plan, product launch plan, trial plan, event plan, and so much more – Wicked Plan lets you capture, organize, and edit the full range of who, what, where, when, why, and how in one wicked place. And now it's fully upgraded for iOS 11, with support for Drag and Drop, the new document browser, and above all, collaboration. Yes, your Wicked Plan documents can be shared with your co-workers or team members, and changes made by anyone will be shared live with everyone from whatever location they're working. Whether you see Wicked Plan as a world-class outliner with immensely powerful table, timeline, and canvas features, or as a way to finally keep a whole plan together in one place, the magic of all this wicked stuff is how easy it is to start a plan in Messages (with Wicked Brainstorm™ and Wicked Buckets™, of course!) and zoom it into Wicked Plan. There you can work with all parts of your plan without spreading yourself across bunches of documents, websites, logins, subscriptions, and chat threads. The Wicked apps are developed and supported by Cloud Hidden Designs, LLC, an international-award-winning design & develop team based in Tempe, AZ. Support for all apps is available via the form on the Contact Us page.